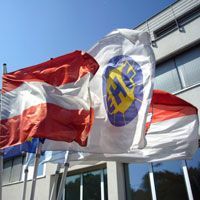 EHF Press Statement following announcement of legal proceedings against EHF Marketing GmbH. Following the announcement of legal proceedings by the City of Kiel against EHF Marketing GmbH, the marketing arm of the European Handball Federation, for the placing of advertising in the EHF Men’s Champions League on behalf of premium sponsor, bet-at-home.com, in specific matches in April and May 2010, the European Handball Federation makes the following statement. EHF Marketing GmbH has received notice of legal proceedings and a fine totalling 262,500 Euro from the City of Kiel for alleged illegal placing of bet-at-home.com advertising in matches involving the German club, THW Kiel. This action by the City of Kiel is incomprehensible to the EHF and EHF Marketing GmbH as is the reaction and approach of the authorities in Germany relating to the advertising of online betting services. As such the EHF, in close cooperation with its premium sponsor and long-term partner, bet-at-home.com, has passed the case on to its legal representatives in both Austria and Germany. This approach has also been agreed in co-operation with the German Bundesliga (HBL) and the German clubs concerned. In addition to the proceedings from the authorities in Kiel, EHF Marketing GmbH together with bet-at-home are also currently contesting legal action from the states of Bavaria, Baden-Württemberg and North Rhine-Westphalia for placing advertising for bet-at-home.com on the ehfCL.com website, which is hosted in Austria, and from the state of Schleswig-Holstein for court and perimeter advertising of bet-at-home.com in matches in Kiel and Flensburg. The EHF, through its marketing company, EHF Marketing GmbH, believes that it is completely within its rights to advertise bet-at-home.com and its services at matches in Germany and through its website.